Dean, who runs the awesome Simpson site Springfield Punx, posted this 'Sgt. 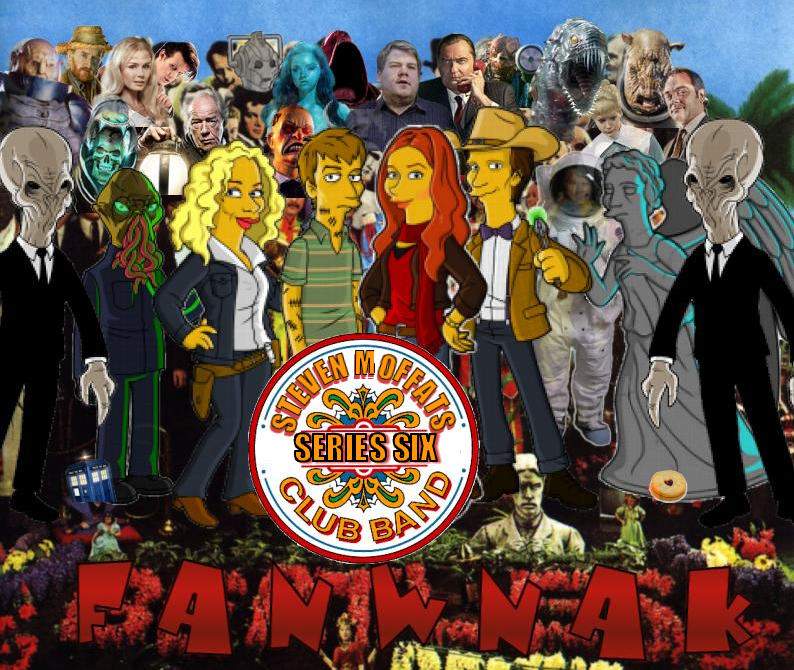 Pepper's Lonely Hearts Club Band' inspired poster from Dave that features an eclectic mix of characters from Series Six (from 2005-present) of the BBC's Dr. Who. Named Steven Moffat's 'Series Six Club Band' after the show's current creator, it's good to see the Doctor and all my faves in one place.